This entry was tagged education, gratitude, inspiration, teaching. Bookmark the permalink. This reminds me of the saying people do not care how much you know until they know how much you care. To teach you have to build trust. You build trust through supporting functions like listening, encouraging, thinking the best, showing respect, and making good on your commitments. By meeting a student where s/he is and building trust through supportive interactions, you can then introduce challenging functions such as greater autonomy of work assignments, reframing questions so that the student answers them for him/herself, peer to peer teaching, and asking “what if” questions, etc. (Paul Bloland, 1967). Let’s always remember that “to care” is an essential building block of all relationships–especially teaching. You raise an excellent point. Building trust with students in their pre-teen years is not an easy task. 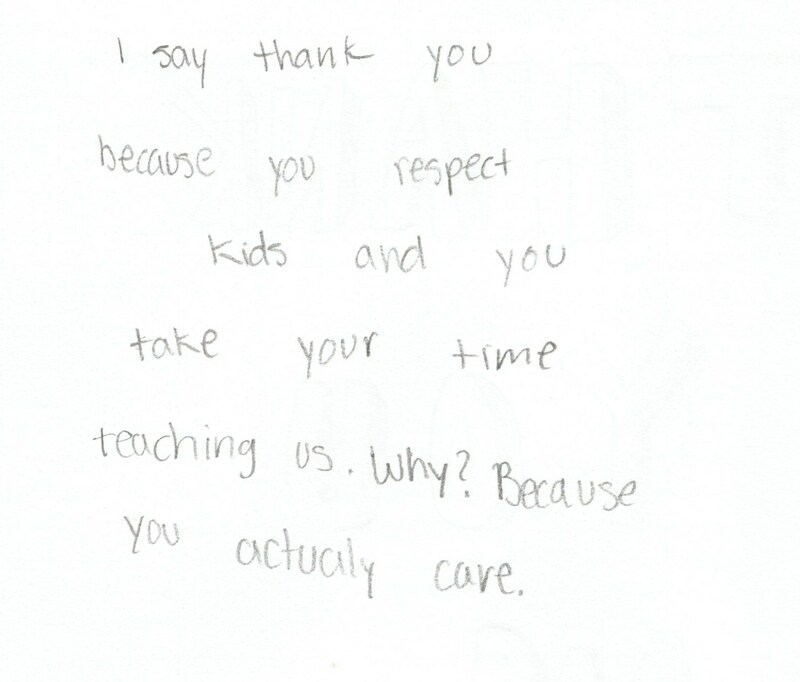 While my high standards for behavior and rigorous academic expectations were initially met with reluctance, students like Ana eventually realize that I wouldn’t hold them to high expectations if I didn’t care.